I had my customary send-off breakfast with Abby. Fair weather and good roads but a late start put me in the loneliest part of New Mexico after sunset. 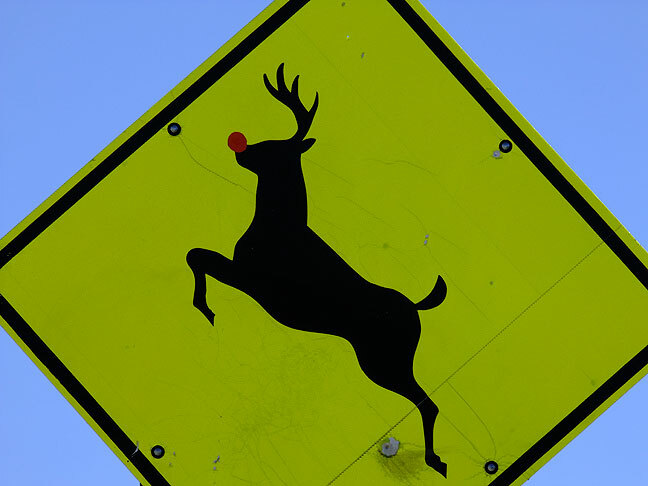 I saw a jackrabbit and a dozen or more deer, and stopped only a couple of times to shoot a sign or two. 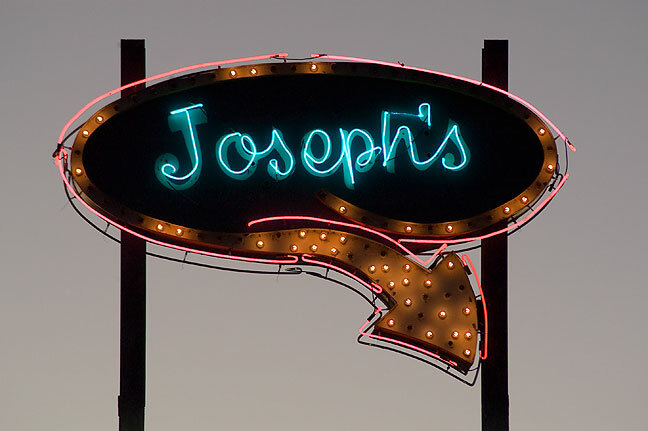 I photographed this restaurant sign in Vaughn, New Mexico, at dusk. My father’s name was Joseph. 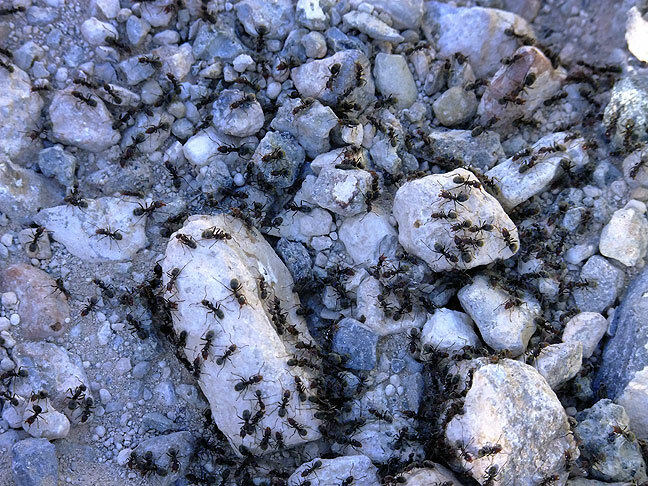 Ants cross the trail at Dog Canyon. I hiked the Dog Canyon trail at Oliver Lee State Park. 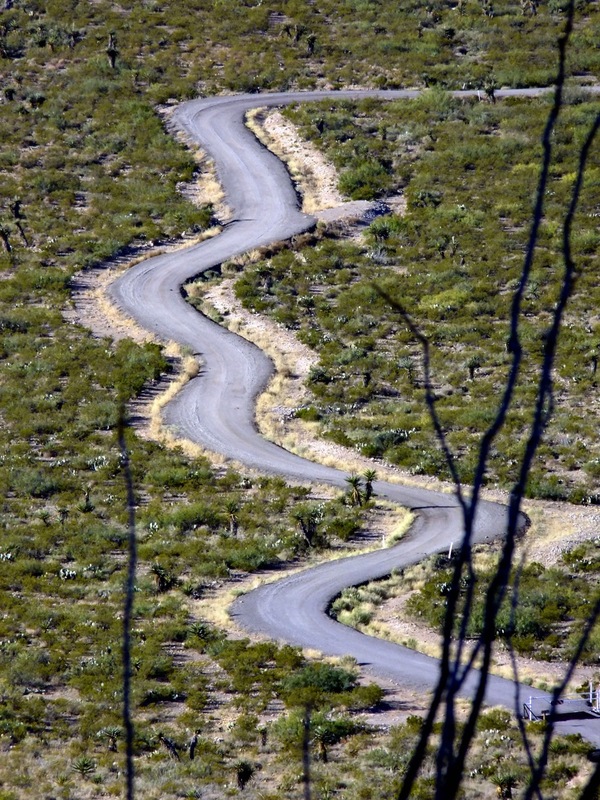 The trail leaves the park and enters Lincoln National Forest after a third of a mile, and ascends the classic Chihuahuan Desert slopes of the Sacramento Mountains south of Alamogordo, New Mexico. I followed the trail about halfway, until I was satisfied I’d had a good look at it, and felt I was running out of time. Looking south at Dog Canyon, Oliver Lee State Park, New Mexico. Abby and I think this yucca looks like the iconic dancing flute player Kokopelli. This view looking west shows the valley where White Sands is located, and the San Andres Mountains in the distance. The road into Oliver Lee State Park is visible from the Dog Canyon trail. Posing in Dog Canyon, wearing my Ada Cougars ball cap. 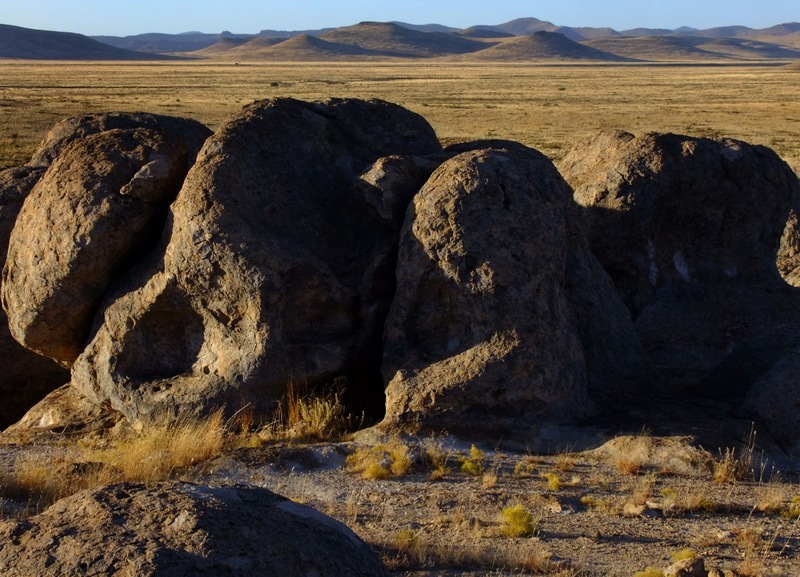 Dog Canyon is in the middle of the vast Chihuahuan Desert. 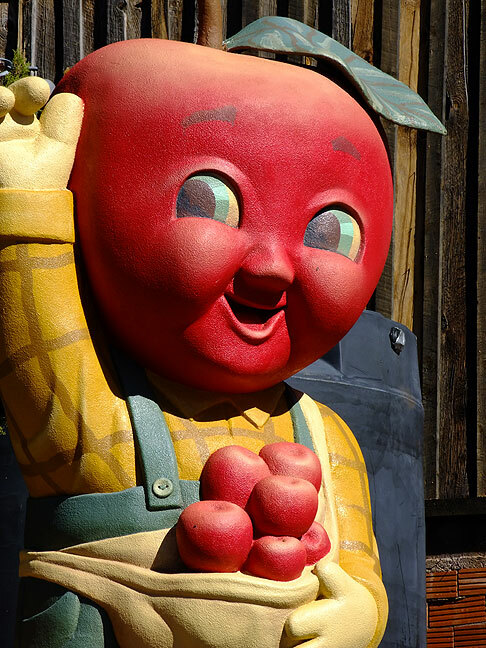 I spotted this Apple Barn mascot in a small town in the Sacramento Mountains, possibly the weirdest sight I saw on this trip. The sound from fighter jets at Holloman Air Force Base to the north absolutely filled the air. I drove north through Tularosa, where I found and bought some New Mexico grown pistachios, along with some New Mexico wine. I drove the winding, rustic U. S. 82 into the Sacramento Mountains, where I turned south at Cloudcroft on the road to the National Solar Observatory. It was quiet and a little chilly at the 9200-foot Sacramento Peak. The short walking tour of the telescopes was nice and made a few pictures. Fisheye view of the sundial at the National Solar Observatory’s Sacramento Peak facility in Sunspot, New Mexico. Fisheye view of the Richard B. Dunn Solar Telescope, a unique vertical-axis solar telescope, located at the National Solar Observatory at Sacramento Peak, New Mexico. 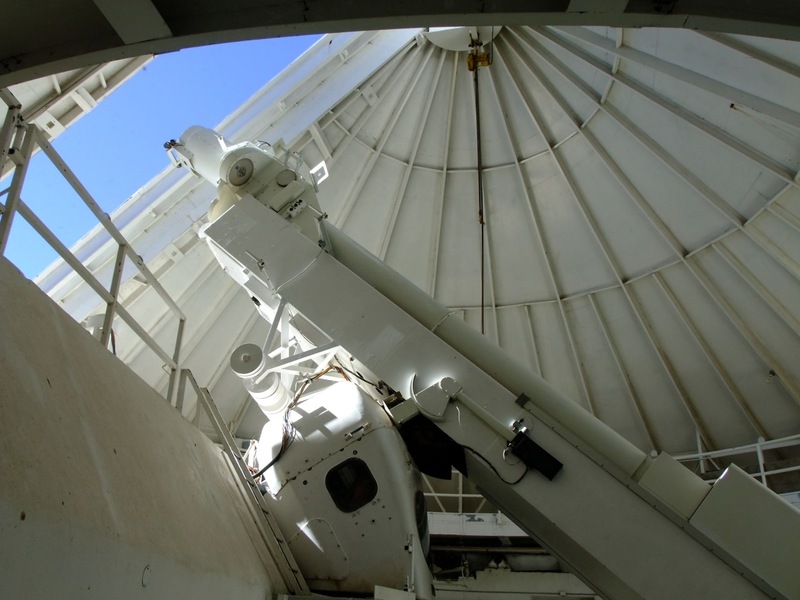 This is an interior view of one of the solar telescopes at the National Solar Observatory. This retired solar telescope was on display at the NSO; it once served in Antarctica. Steps leading up the Hilltop Dome telescope facility. Ruby red leaves and cobalt skies greeted me on Sacramento Peak; this spot was chosen for its abundant clear weather for solar observation. 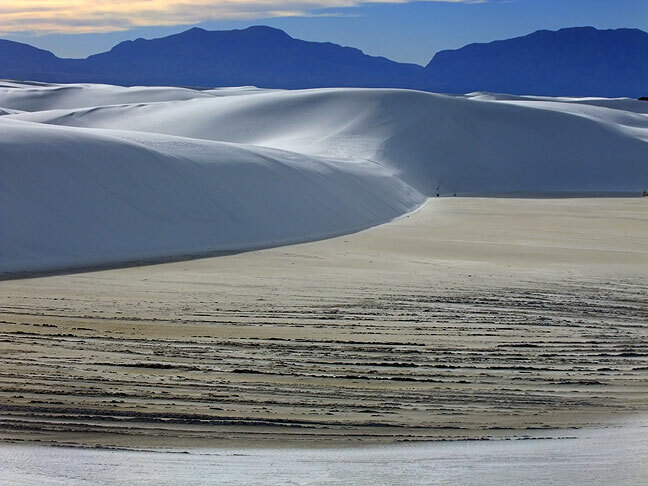 By mid-afternoon, I was at White Sands National Monument, but was vexed by soft light and haze, seen in this image. I made it down to White Sands National Monument by about 2:30. I hiked around for a little while, but the light was grey and shadowless. I decided to attempt to join the 4 pm ranger-guided Sunset Stroll, which was kinda fun. The clouds finally broke and the sunset imaging was satisfying. 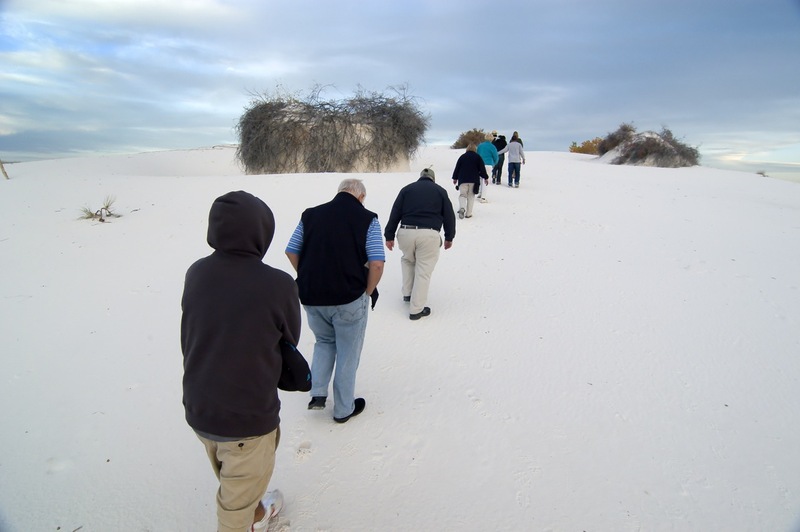 Our natural walk group makes its way up a white sand mound. The light at that moment was flat, but only a few minutes later, the clouds parted, giving a beautiful performance at sunset. An excellent “golden moment” photo op at White Sands National Monument, New Mexico. As evening approached, however, the sky opened up and gave me beautiful, warm golden hour light, then beautiful blue hour light. Branch and tree, sunset, White Sands. Soaptree yucca and sky, sunset, White Sands. Soaptree yucca and sky at last light, White Sands. Soaptree yucca, last light, White Sands. Most of this cottonwood tree is buried beneath a sand dune; the ranger pointed out that this was the easiest way to climb a 35-foot tall tree. Soaptree yucca in the blue hour light after sunset at White Sands. Waining light at White Sands. Looking east toward the Sacramento Mountains, where I visited earlier in the day. The last blue hour light graces this soaptree yucca at White Sands. This is the White Sands Missile Park at the entrance to White Sands Missile Range, New Mexico. I had a very early breakfast, then hit the road west. 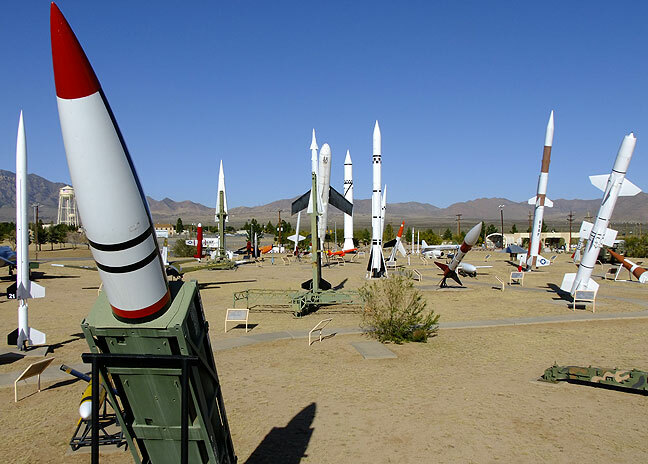 My first stop was the White Sands Missile Range Museum and Missile Park. Despite a cold wind, I had beautiful sunshine and good light, and the visit was both interesting and photogenic. Looking into the breech of the XM-198 Howitzer. 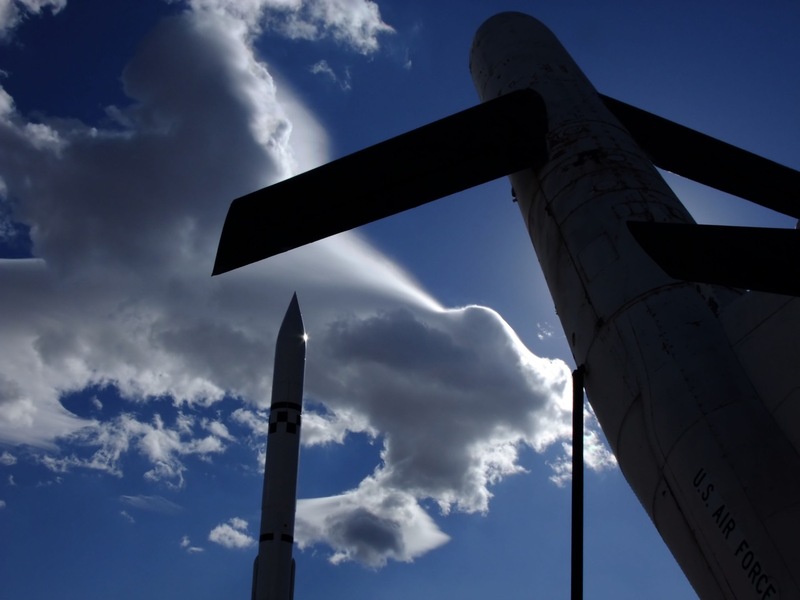 It was windy and cold at White Sands Missile Park, and the sky was turbulent. The Pepp Aeroshell; this vehicle was used to test the parachute NASA planned to use to “soft land” the Viking spacecraft on Mars. With vehicles like this being tested at White Sands, it’s little wonder stories of “flying saucers” proliferated. The Nike Hercules missile profiled against a turbulent morning sky. New Mexico highway 90 southwest of Silver City; this was a very spooky stretch of road. I was stopped at a huge checkpoint west of Las Cruces, where I was asked to show ID and asked if I were a U. S. citizen, which I am. The vehicle in front of mine was detained. I continued west though Las Cruces and Deming to Lordsburg, where I learned that the Shakespeare Ghost Town was on its winter schedule, and was closed. It was only a half hour out of my way, but still annoying. 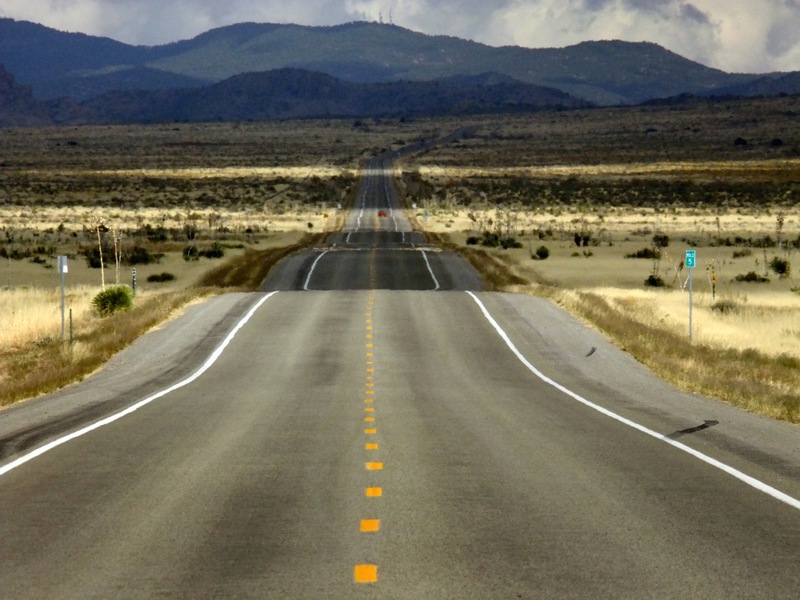 I turned north and drove a spookily lonely stretch of New Mexico state highway 90. This long telephoto view of New Mexico 90 shows how spooky, and potentially visually interesting, the southwestern New Mexico area is. 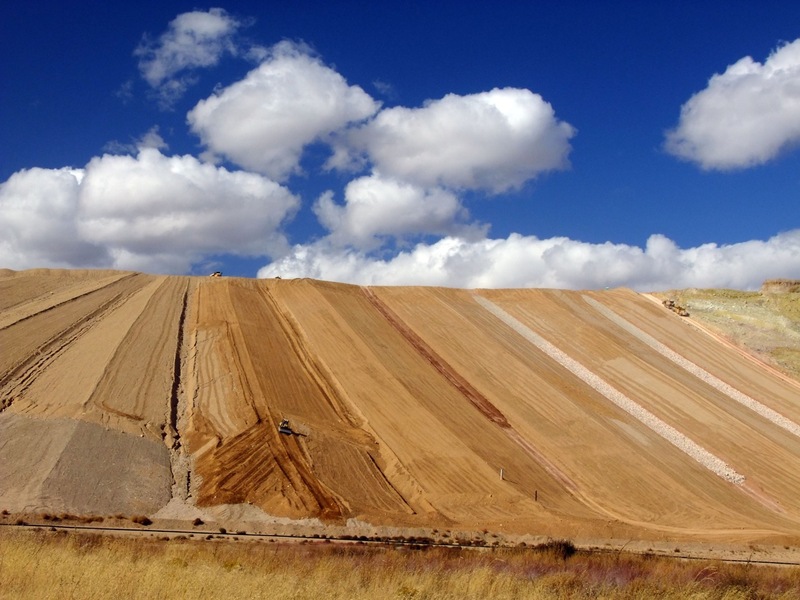 I paused at the Tyrone Mine southwest of Silver City to make a couple of images. I continued to Silver City, where I had a bite of lunch, then drove down to City of Rocks State Park about 30 miles southeast of Silver City. On the internet it always seemed like it would be fun to explore, but today I discovered it could be aptly renamed Richard Barron’s Playground. I started with the 3.25-mile hike that circumnavigates the park, which cut through a beautiful open slice of Chihuahuan desert. Then as sunset approached, I dove into the heart of the boulder field, climbing and leaping and hiking and making tons of images as I went. 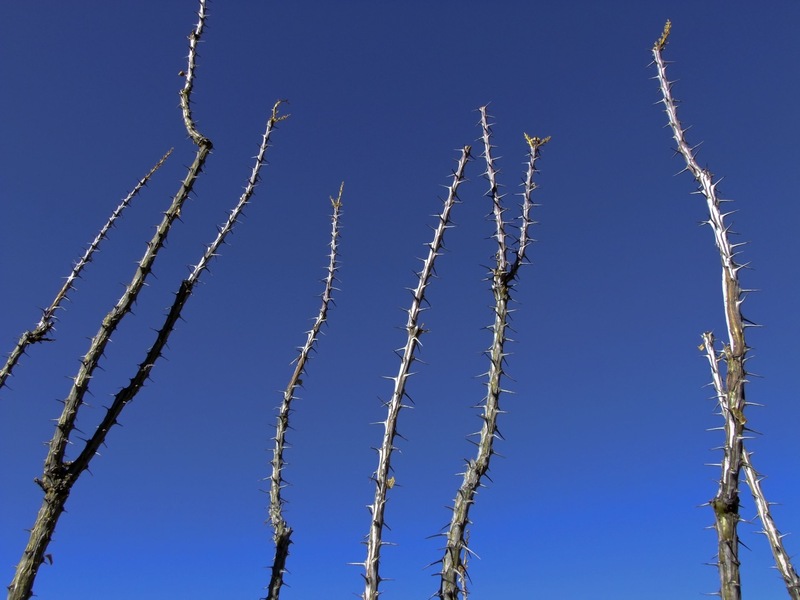 Yucca and sky, City of Rocks State Park, New Mexico; I had this 3.5-mile trail entirely to myself. City of Rocks viewed from the west. Nearing the southern end of the loop trail around City of Rocks. 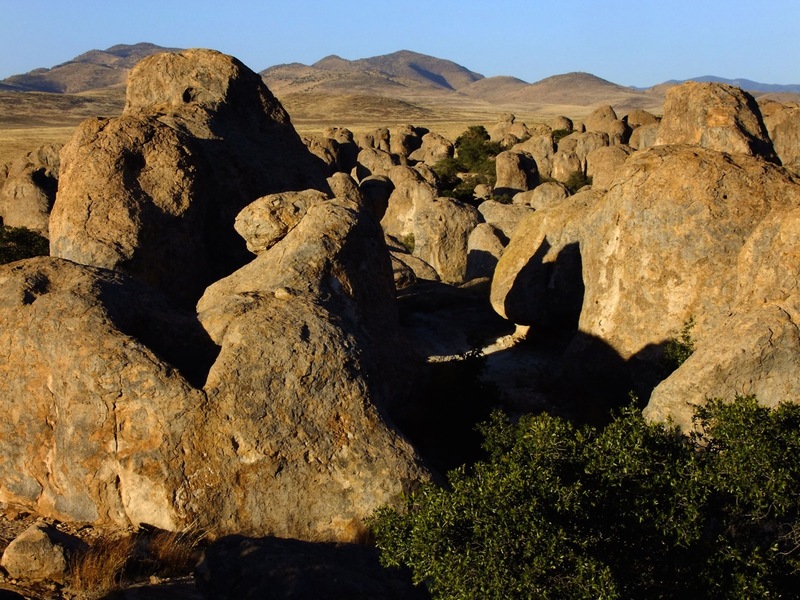 Formation on the south end of City of Rocks. Grass and stone, late afternoon light, City of Rocks. Stone and sky, late afternoon, City of Rocks. The trail cuts through the heart of the City. A tree casts a shadow on stone as sunset approaches. This view looks north from near the center of the City. Posing under a shelf of rock at City of Rocks, near the end of my adventure there. Tree in crack, City of Rocks. Maturing light on the City. The Golden Hour arrives on the southern edge of City of Rocks. Another image of City of Rocks at last light. Last light at City of Rocks State Park, New Mexico. 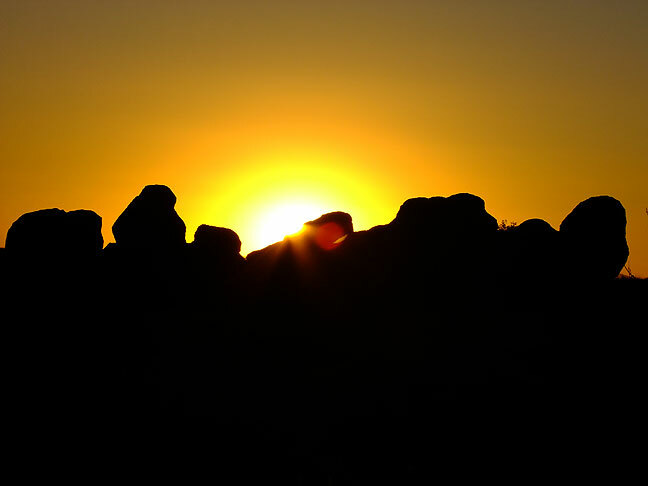 The sun sets on City of Rocks State Park, New Mexico. 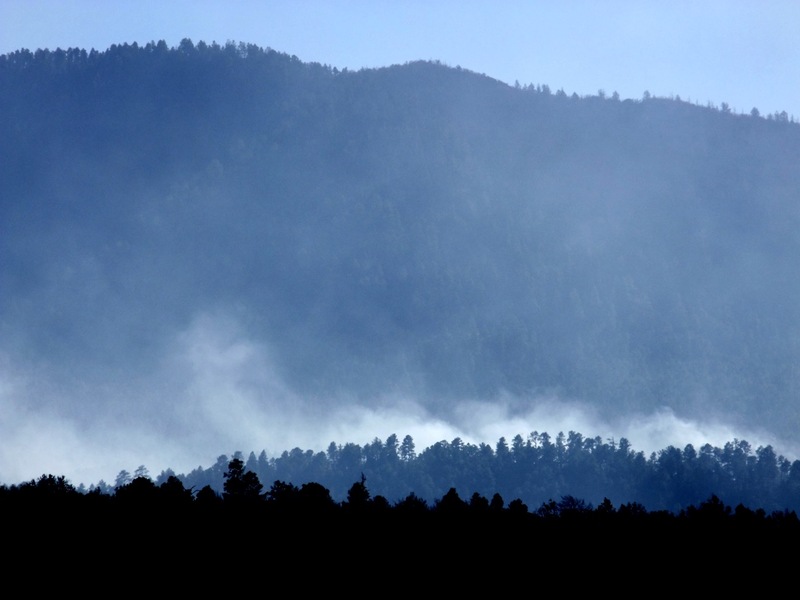 Blackened grass and backlit smoke, prescribed burn, Gila National Forest, New Mexico. The 44-mile drive from Silver City to Gila Cliff Dwellings National Monument was both challenging and stressful, since much of the southern end of the route is very narrow, with dozens of tight turns and elevation changes, and no centerline. I saw some mule deer on the way up, then on the way back I was able to photograph dense smoke from a prescribed burn going on just to the west. The Monument was sparsely attended; I saw about 10 other people, including rangers. I met a nice volunteer at the dwellings themselves, and she and I had a nice chat while she waited for other visitors. I made some fairly decent images, but nothing I thought was spectacular. On the way out, I hiked a Forest Service trail into the Gila Wilderness Area, maybe a mile and a half, just because I didn’t feel like I’d had my fill of hiking. The afternoon was cool and clear. Trail, Gila Cliff Dwellings National Monument, New Mexico. High dynamic range image looking up at the cliff dwellings. View inside one of the alcoves showing stairs, dwellings, and storage areas. Another view of the interior of the cliff dwellings. Fisheye view showing large cave opening and canyon at Gila. 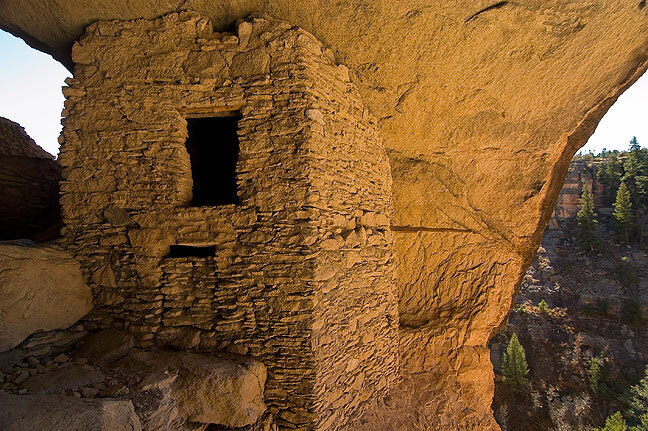 Mogollon masonry in the largest of the dwellings at Gila Cliff Dwellings National Monument, New Mexico. Stream, Gila National Forest, New Mexico; the water was extremely cold. This prickly pear cactus appeared to have some disease process occurring, but park rangers couldn’t agree on exactly what. Flowering cactus outside the Gila Cliff Dwellings visitor center. Mogollon Mountains and Gila National Forest from the Copperas overlook on New Mexico state highway 15 south of Gila. The heart of “The Catwalk” is a trail that follows Whitewater Creek through narrows. 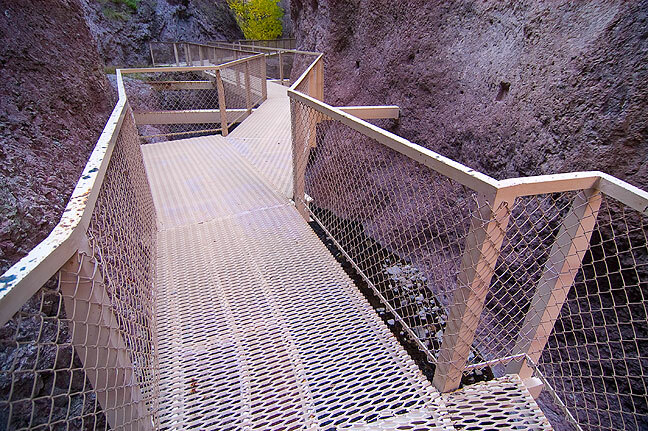 The Catwalk itself was originally constructed by silver miners. 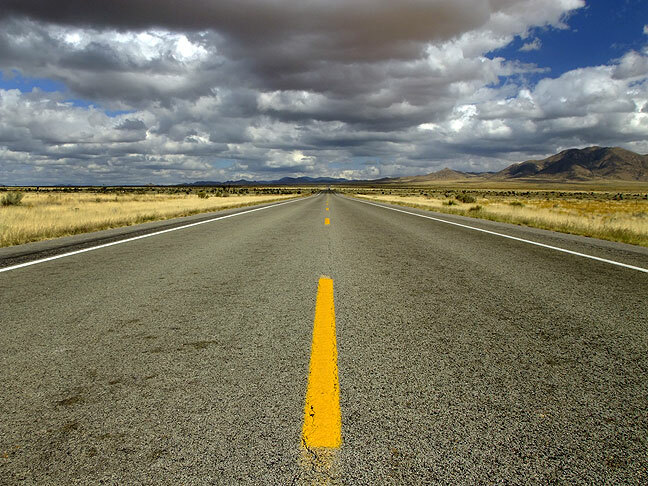 Drove northwest out of Silver City toward a landmark I saw in a local travel guide called “The Catwalk.” The road to it, like all the roads in southwest New Mexico, was eerily lonely. Near the town of Glenwood, The Catwalk trail proved to be a big surprise for the day. At the trail head, I learned that it was Veterans Day (which I guess I already knew), so there was no fee. The trail follows Whitewater Creek for a little more than a mile, along a path originally created by gold miners in the 1890s. In several spots where the canyon narrows, the trail continues on steel catwalks, one long, complex one, and several others as needed, all anchored where the miners anchored their aquaducts. The creek also featured rushing rapids and abundant fall foliage. The Catwalk trail is close to the town of Glenwood, New Mexico, and follows Whitewater Creek for a little over a mile. The name “Catwalk” comes from this, a steel catwalk constructed in a long section of narrows on the creek. However, it is not the only catwalk on the hike. This image helps emphasize the feel of the narrows; tourist brochures fail to capture this. The reinforced steel of the Catwalk makes it feel nearly as solid as walking on land. This view looks down on the main landing of the Catwalk itself, which features signs describing the construction and history of the place. Whitewater Creek flows past a huge, mangled stump. The trail continues up Whitewater Creek, leading to several short downclimbs to the creek itself. This steep steel staircase led down to a small waterfall and pool. Waterfall and pool, Whitewater Creek. Whitewater Creek flows near the waterfall. I was fortunate to be there in the morning, since midday light would be too harsh for images like this. More beautiful foliage on the trail. Water and cliff, Whitewater Creek. The trail ends at this overhanging rock formation. View of the swinging bridge looking back downcanyon. I continued east, stopping at the Very Large Array near Magdalena, which I hadn’t seen in ten years. The configuration (the location of the dish antennas along the “Y” of the array) wasn’t the perfect one for pictures. (It was in the “B” configuration for anyone interested). Still, some spooky-ish clouds helped it make a few nice images. The Very Large Array, Magdalena, New Mexico. This was my third time to visit the VLA. I stopped on this occasion because it was on my route back to Oklahoma. This is the southeast arm of the “Y”-shaped VLA layout, seen from the road that leads to the visitor center. You can also see part of the train tracks that are used to move the dishes to reconfigure the array. Tight shot showing some of the dishes of the VLA visible from the short walking trail at the visitor center. It was very cold and very windy on this day. VLA antennas; the light and clouds cooperated just long enough that I was able to make some interesting images. It was a good way to end my trip. Radio telescope antennas of the Very Large Array, Magdalena, New Mexico. The VLA is part of the National Radio Astronomy Observatory. By nightfall I was in Socorro for dinner, then drove to Santa Rosa for the night. 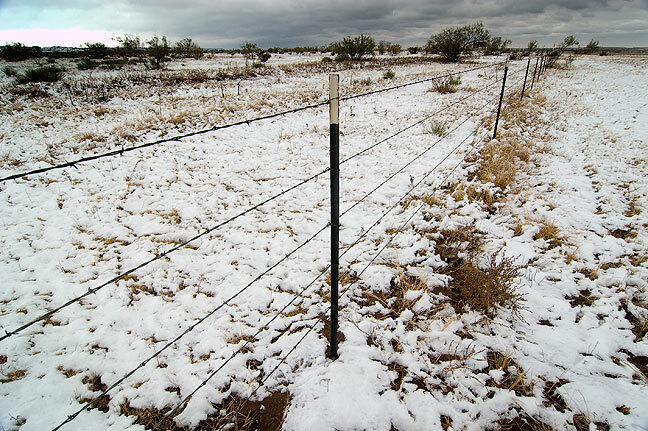 Snow dusted the rest area near the Llano Estacado escarpment in the Texas Panhandle. It was cold and grey in Santa Rosa when I left. By the Texas line there was snow on the ground, which I stopped to photograph. I was happy to be home around 6 pm, where Abby was happy I was home. Sign at the historic Conoco Tower in Shamrock, Texas.